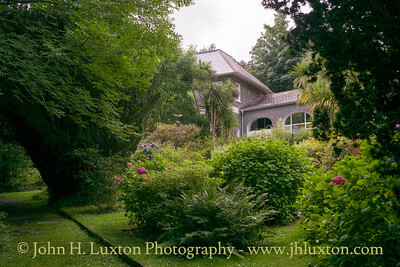 Laxey Glen Gardens have a long history as a park and pleasure ground dating back to the early 19th Century. 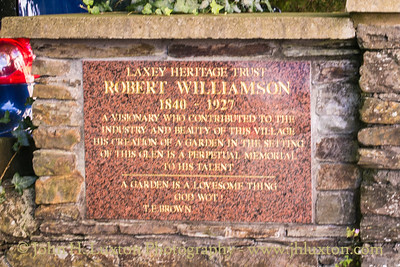 However, its golden years were under the ownership of Robert Williamson in the second half of the 19th Century and into the early 20th Century. 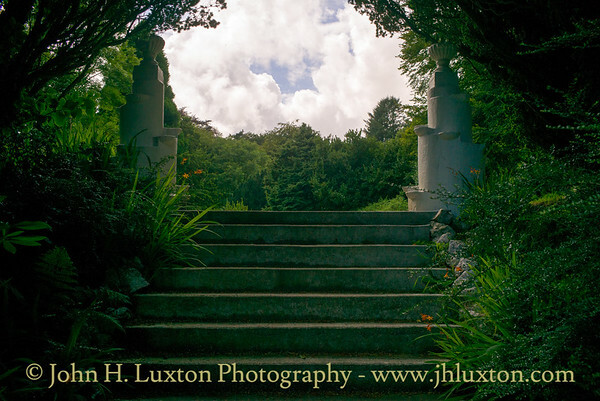 Visiting Laxey Glen today interesting relics can be found reminding one of what went before, whilst once again there are plans to open the Laxey Glen Pavilion as a bar, bistro and hospitality venue. 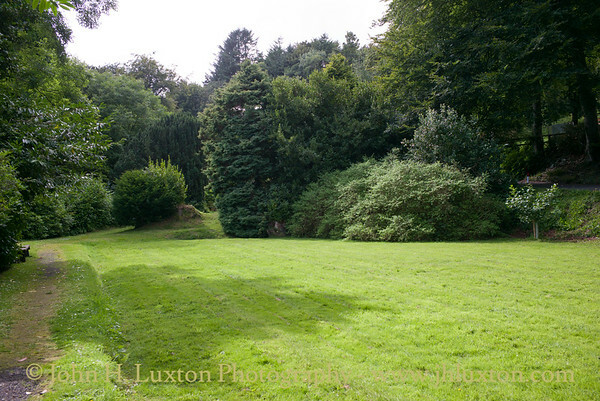 The Entrance to Laxey Glen - there were once turnstiles here and an admission charge was made for visitors. 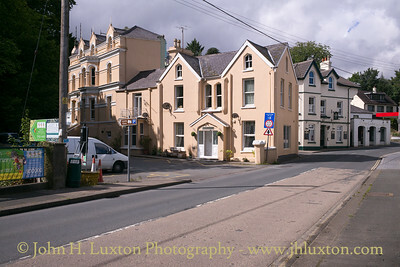 The Glen Mona Care Home on he right was once the Laxey Glen Hotel. 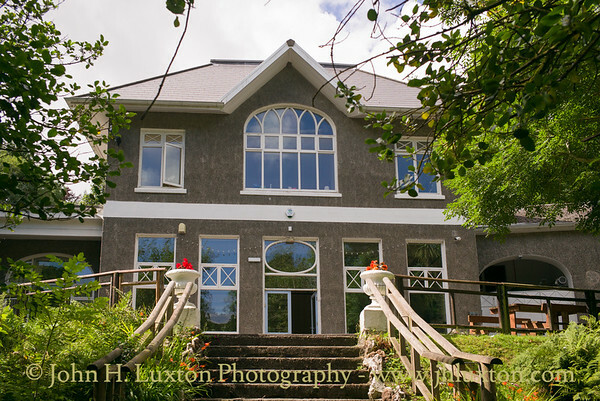 This had 12 bedrooms for paying guests and had been designed by Mr Rennison who had been responsible for many of the hotels built on Douglas Promenade. 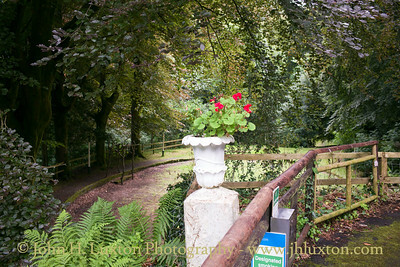 The Entrance to Laxey Glen - there were once turnstiles located here where the gateway can be seen and an admission charge (recorded in some old photographs of 6d / 2.5p) was made for visitors. 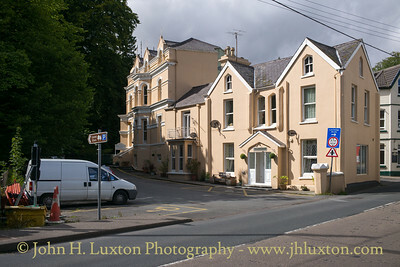 The Glen Mona Care Home on he right was once the Laxey Glen Hotel. This had 12 bedrooms for paying guests and had been designed by Mr Rennison who had been responsible for many of the hotels built on Douglas Promenade. 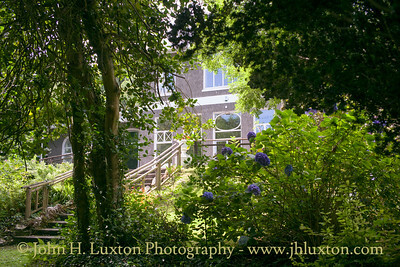 The lower building closer to the camera on the right was proprietor Robert Williamson's house. It later became the hotel bar. 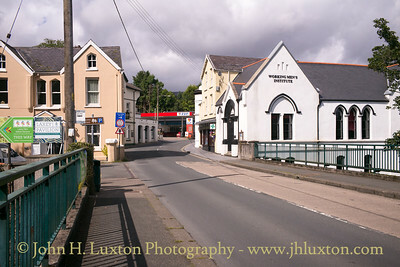 The smaller building to the right of the former hotel was the home of former Glen Proprietor, Robert Williamson. Photographs from the mid 20th Century show that it had become the Glen Hotel Bar. 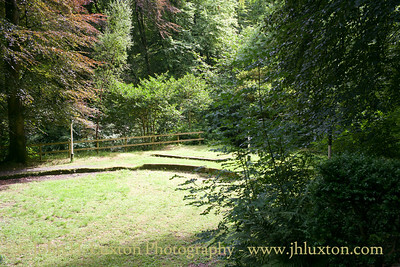 The Entrance to Laxey Glen - there were once turnstiles here and an admission charge was made for visitors. 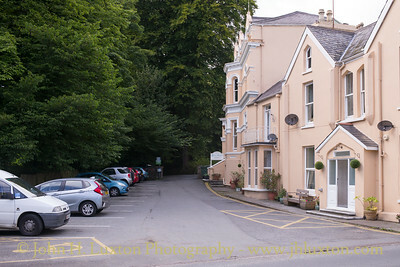 The Glen Mona Care Home on he left was once the Laxey Glen Hotel. This had 12 bedrooms for paying guests and had been designed by Mr Rennison who had been responsible for many of the hotels built on Douglas Promenade. 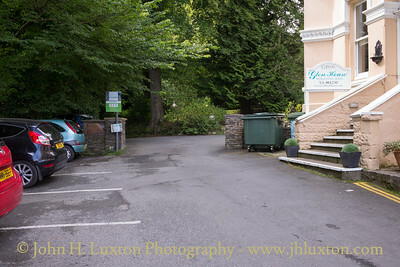 The smaller building to the right of the former hotel was the home of former Glen Proprietor, Robert Williamson. Photographs from the mid 20th Century show that it had become the Glen Hotel Bar. Approach to Laxey Glen along New Road. The entrance to the Glen is on the left. 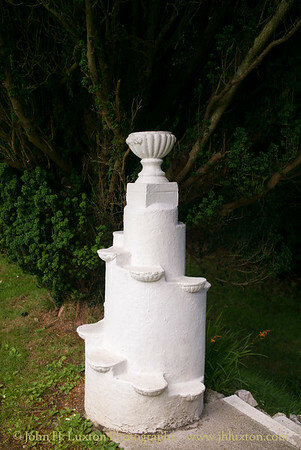 Ornamentation at the top of the steps down from the former bowling green to the former croquet which can be seen below. 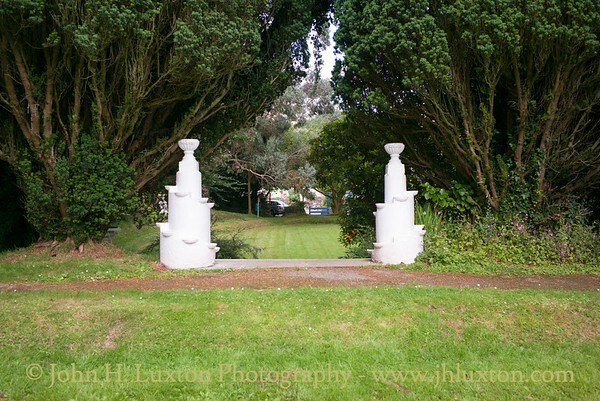 Decorative feature marking the steps down from the bowling green to the croquet lawn. 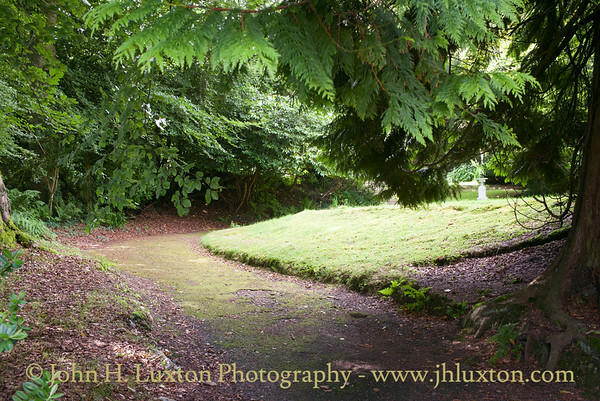 Path leading up to rhe Pavilion. 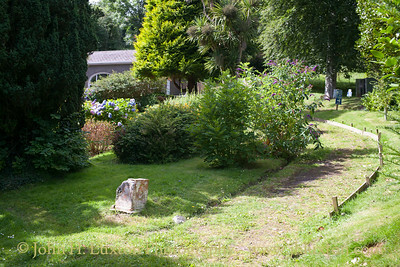 Old photographs show that the flower beds on the left, now quite heavily grown were once planted out to represent half of the nearby Laxey Waterwheel. 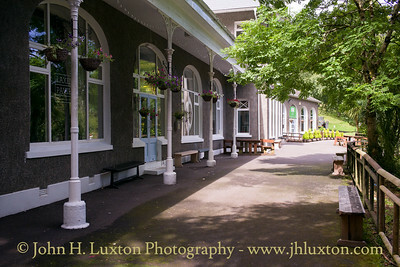 Laxey Glen Pavillion is a venue available for private hire - it was once a refreshment rooms and restaurant and is in 2018 being converted into a bar and bistro. 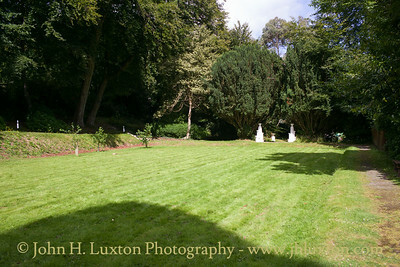 View to the dance floor from the Laxey Glen Pavilion. 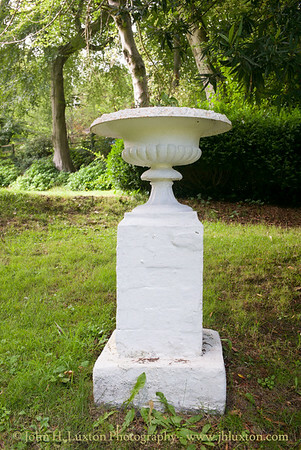 An elevated band stand once stood close to this location from which a band would play music for dancers. 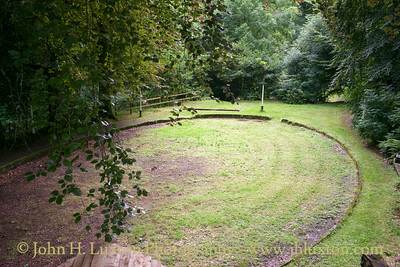 The dance floor taken from around the site of the band stand. The dance floor looks like a shallow paddling pool but it was provided to facilitate the fitting of removable spring wooden dance floor. Dancing at night was facilitated by the surrounding gas lamps.